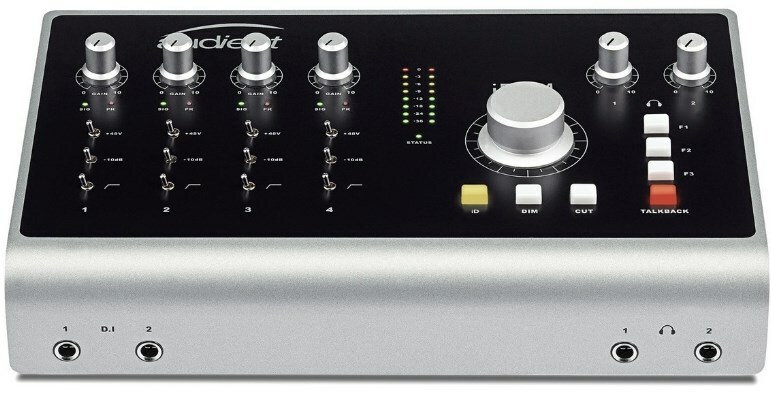 The Audient ID44 is a tough audio interface and monitoring system with plenty of power. Housed in an all metal construction, the ID44 is a 20-in, 24-out interface, armed with 4 Class-A Audient Console Mic Preamps and 2 Discrete JFET instrument inputs. Its high-performance Audient AD/DA converters produce 24-bit/96kHz audio with optimised dynamic range, capturing every minute detail with outstanding clarity. The ID44 features 4 combo mic/line inputs with switchable 48+ Phantom Power, powered by Audient Class-A mic preamplifiers (constructed using the same circuitry found in the mighty ASP8024 recording console). With a wide gain range of 70dB, the Audient preamps deliver an ultra-low noise floor and very little distortion, retaining all the recording detail with the addition of analogue warmth. On the front face find two JFET D.I inputs designed to "replicate the input stage of a classic valve amplifier". The JFET D.I inputs allow you to plug and play a number of instruments including guitar, bass, piano and more. Need to expand to accommodate your recording needs? The ID44 boasts two Optical input and output connectors that support ADAT and S/PDIF. Allowing you to add up to 16 mic pre inputs to your setup. Ideal for tracking drums, live bands and more. Two balanced insert points allow you to hook up processing equipment before signal conversion, just as the insert returns give you the best signal path available for integrating outboard line-level sources and more. Never miss a beat with the Audient ID44's two independent headphone outputs, giving you and your vocalist/player crystal clear playback thanks to the ID44's refined headphone amp technology, with two separate cue mixes. Based on Audients history with and keen knowledge of analogue consoles, the ID44's additional button layout grants you real hardware control at your fingertips, talk-back, cut and dim buttons, plus speaker select, phase and polarity flip and much more. Talkback is possible through the ID44's new talkback feature giving you control over your USB or built-in computer microphone via the interface, a useful feature that emulates the talkback option found on much larger studio desks. Furthermore, the ID44's volume encoder wheel turns into a virtual scroll wheel with the simple touch of a button, allowing you to control parameters, command various sections of your DAW, scroll music libraries and even write in automation. 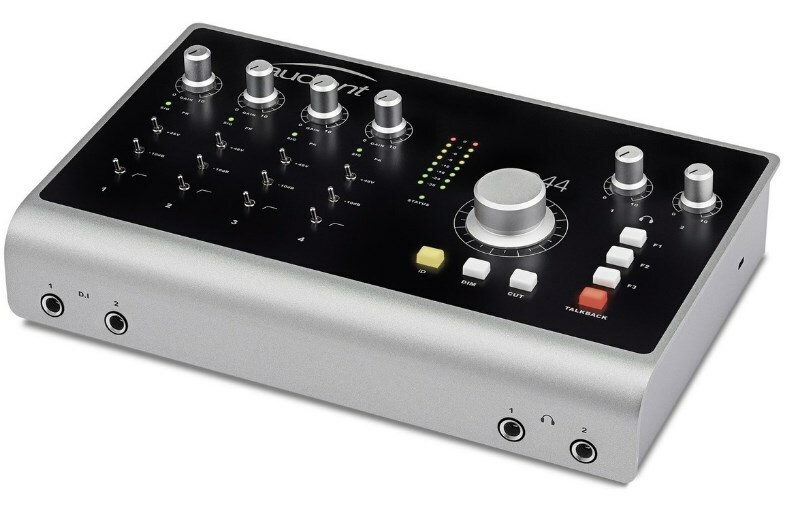 The ID44 is as much of a control tool as it is a recording tool, a robustly constructed, reliable and smart looking interface giving you fantastic control of your recordings and connectivity to ensure that it can grow as you grow.